Exclusive! Live the sweet life! 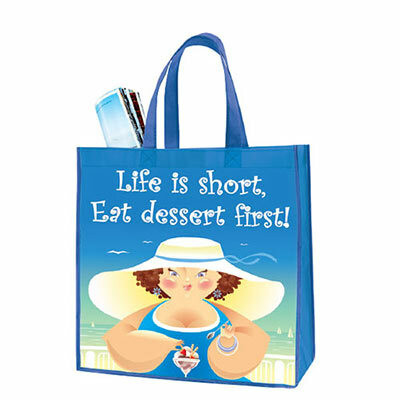 Our Eat Dessert First tote, made of durable non-woven polyester, coated for easy cleaning. Features sturdy double handles for carrying even the heaviest load. Imported. 14"w with 12"l handles.